Wow. Just wow. 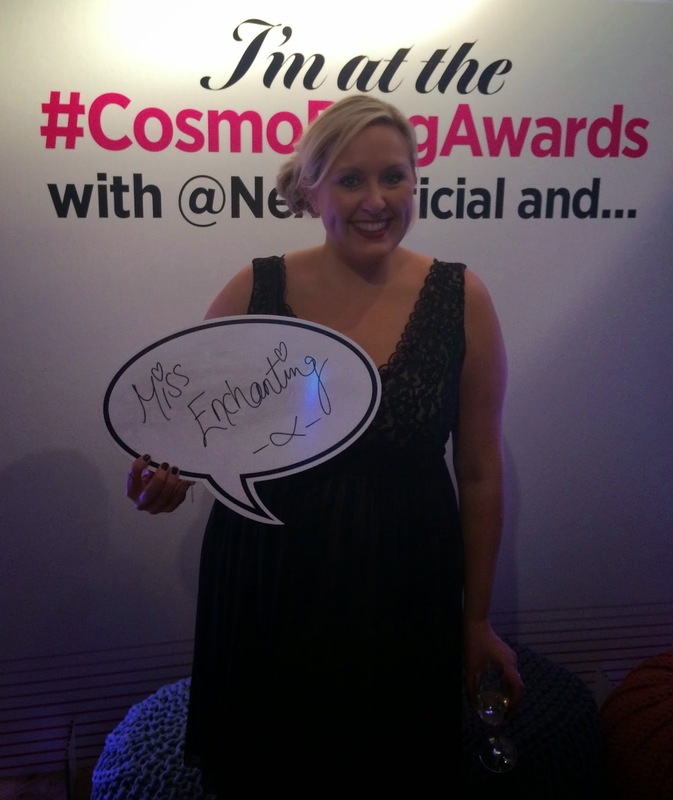 Back in May I started to pester you lovely lot to vote for moi in the ‘Newcomer’ category at this year’s Cosmopolitan Blog Awards with Next and you didn’t let me down. 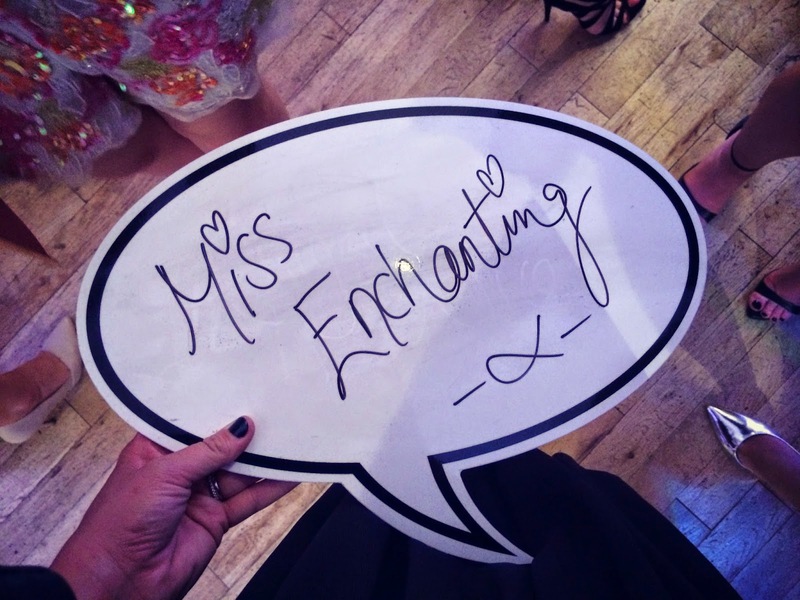 From the 47,000 entries, Miss Enchanting was shortlisted alongside nine other bloggers in the category and was among 150 finalists to attend the awards ceremony. Amazing stuff. 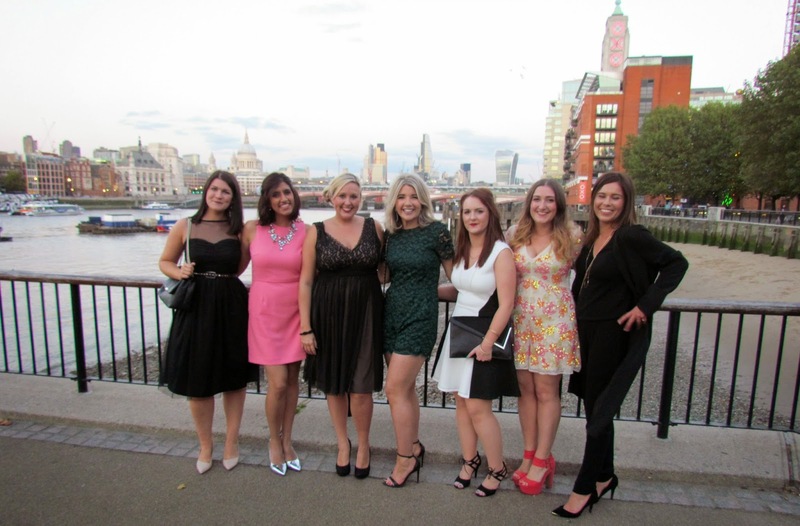 Twelve months ago I could never have anticipated that I would be standing in the Oxo Tower by the River Thames in London, surrounded by so many amazingly talented and successful bloggers, drinking cosmopolitans, looking all glam and part of an actual awards ceremony. But it happened and I couldn’t be more chuffed with ones self to come this far in my blogging career so early on. 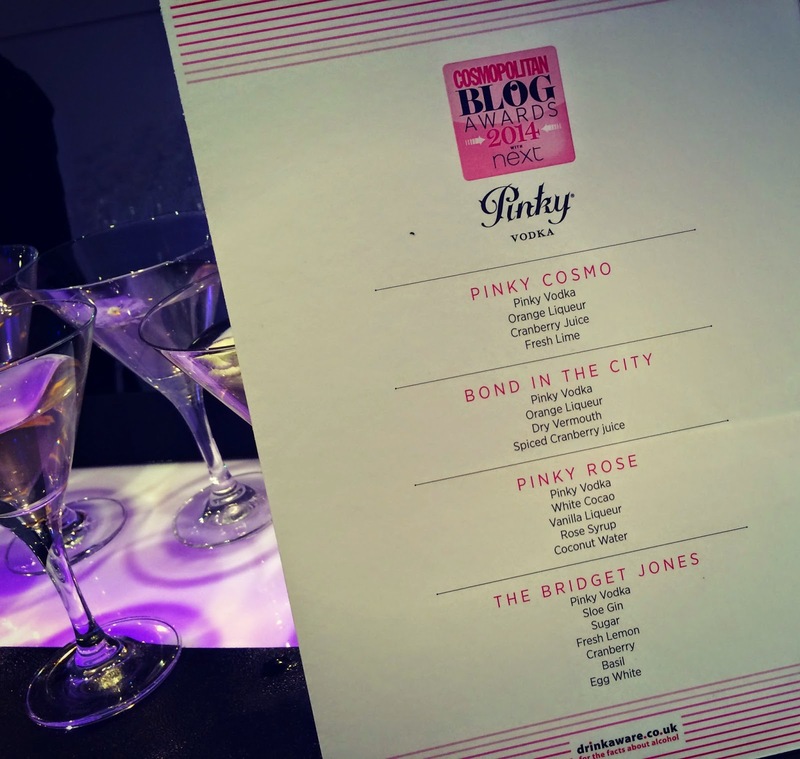 Sadly I didn’t win, but I came home with a zillion fab memories, six new gorgeous blogging buddies and a huge smile on my face. I certainly felt like a winner. The night was everything I hoped it would be and more. 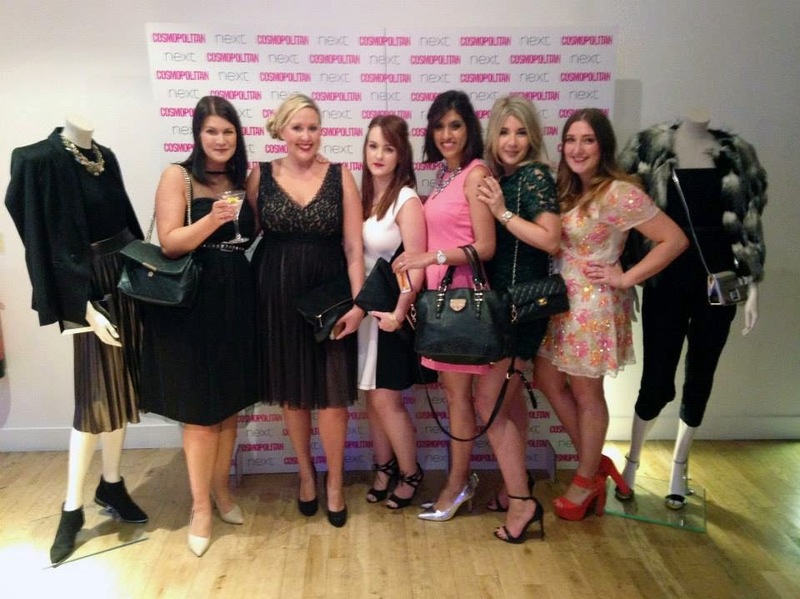 With my outfit finally sorted, my hair and make up complete, I set off into London a bag of nerves which soon dispersed the moment I met a group of fellow blogging nominees that I had made friends with on Twitter prior to the event. My night was entirely made by these girlies and, at one point, I forgot the reason I was there as we were having so much fun! 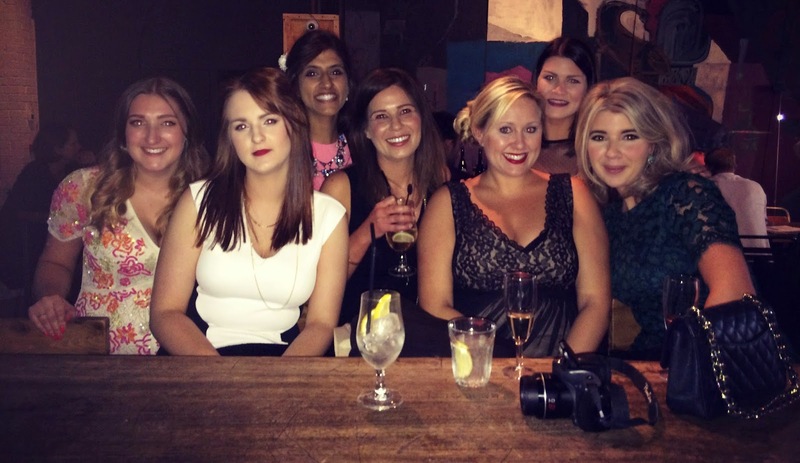 Never before have I clicked so quickly with a group of girls and within a few minutes of meeting each other, I felt like we’d all been friends for years. 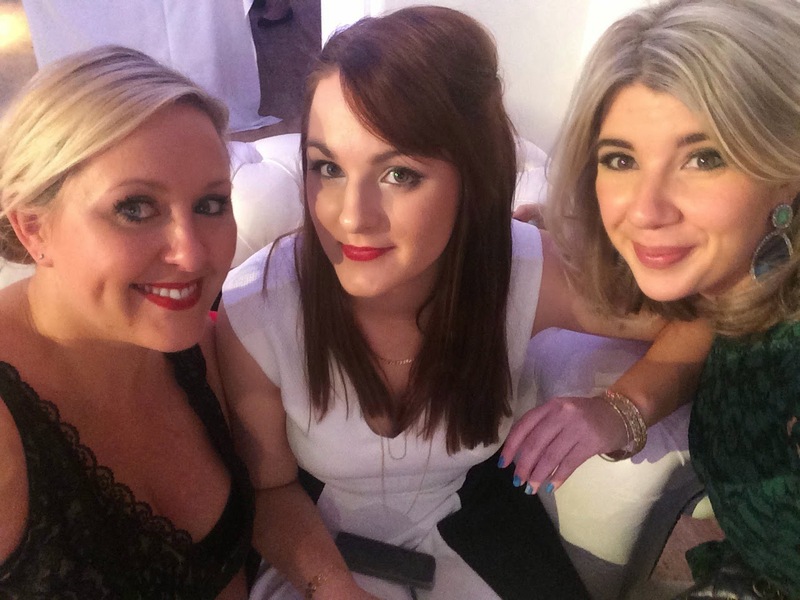 Check out these very talented ladies…Abigail is a gorgeous lifestyle blogger from Abigail Alice. Farah, full of life and a passion for fashion over at Faz Fashion Diary. 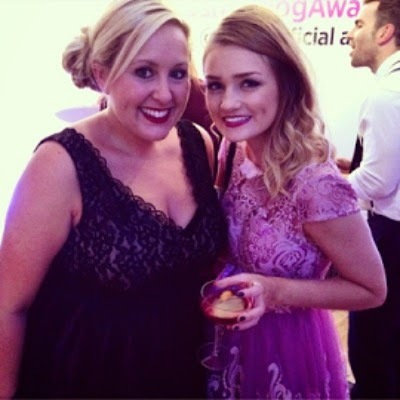 The lovely Abi from beauty blog Kemples. The very cool and talented Natasha from Graphique Fantastique. June, a super creative interiors blogger from Nostalgiecat and, last but not least, the very gorgeous and hilarious Victoria from I Heart Fashion who instantly became my partner in crime for the evening knowing the quickest way to my heart- by making me laugh. She and I became firm buds and from now one shall be referred to as my ‘Blog Wife’. She’s a keeper. On arrival we were greeted with an array of cocktails to choose from, so in honour of the nights host, we opted for a Cosmopolitan (which was the culprit for slurred vlogging and then my sore head the following day!) 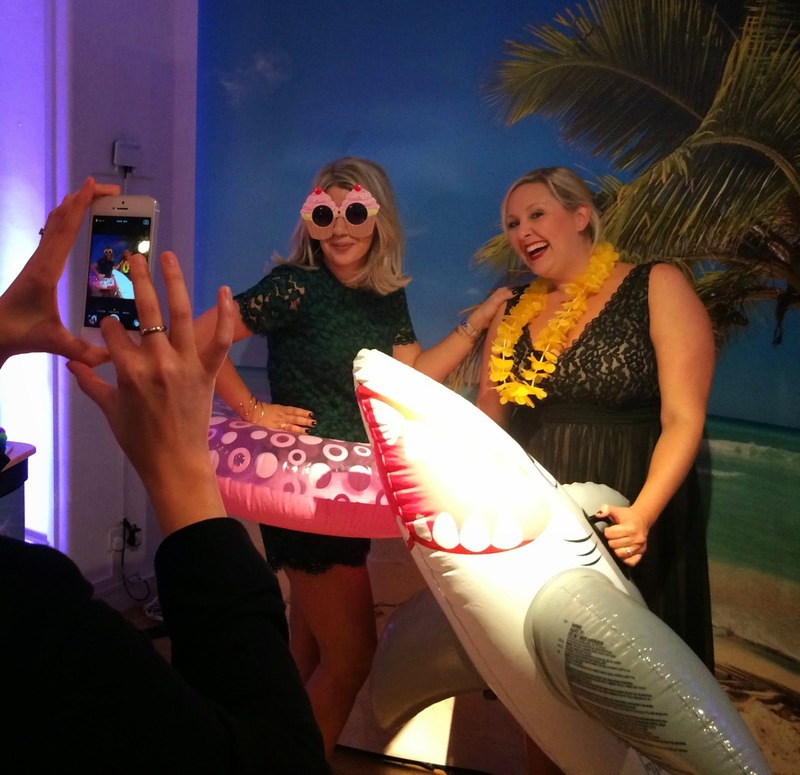 There were loads of gorgeous treats on offer, from hair styling by Remington, nail wraps by IZ Beauty of London, eye lashes by The London Dolls (who thought I had extensions in already- but oh no- that would just be the amazing Benefit They’re Real! Mascara) and so much more. The venue was a blogger’s dream, with Instagram photo ops everywhere, which of course kept us all entertained until the awards ceremony began. The ceremony itself, hosted by Louise Court, editor of Cosmopolitan magazine, was really quick but exciting. 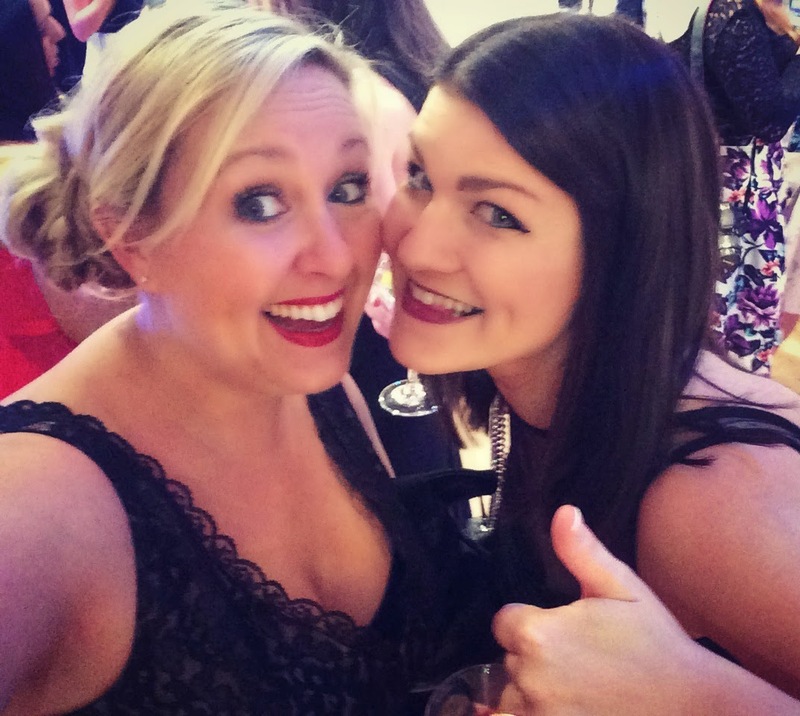 Abigail and I lost out to Gracie from The Ugly Face of Beauty who won the Next Newcomer Award, and Sarah from That Pommie Girl who took home the Highly Commended Award in our category- so well done girlies! 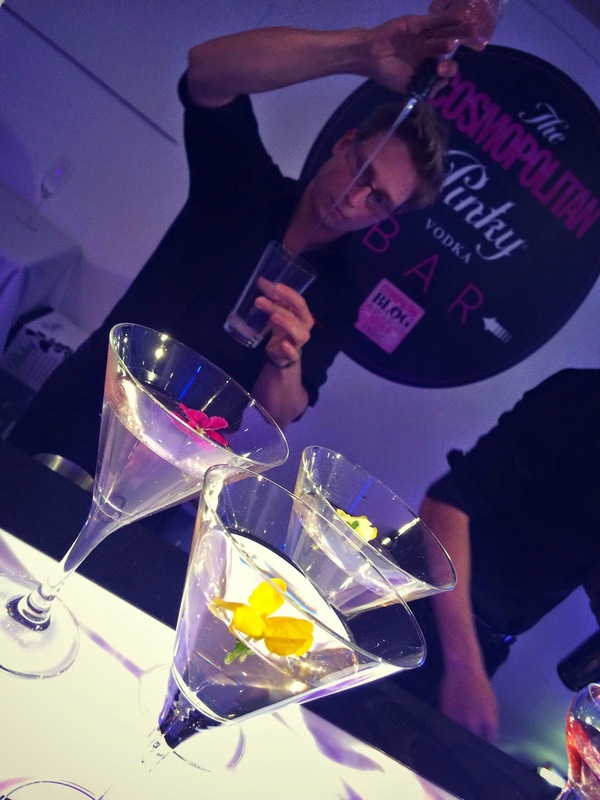 After the awards, seeing as we had all lost out to other bloggers in our category, there was only one thing for it- hit the bar and make the most of being a part of such a fabulous event. 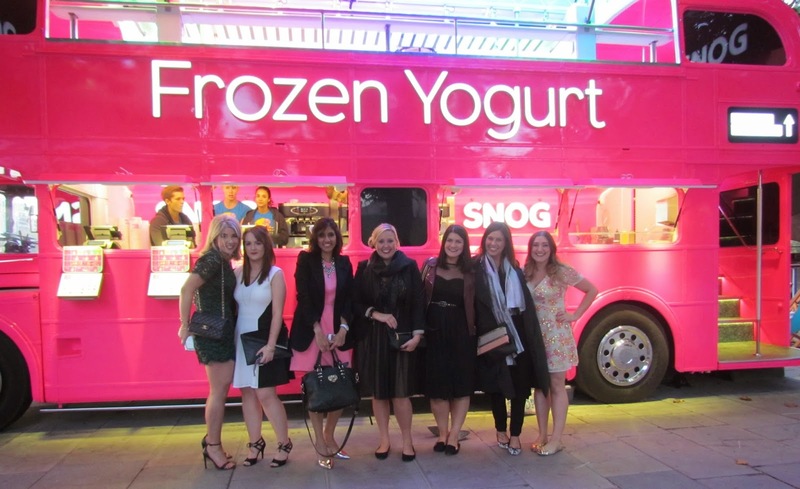 In between selfies and socialising, we found ourselves “celeb spotting” among the blogging community. It was great to meet the very lovely Cassie who writes a brilliant thrifty lifestyle blog, Cassie Fairy who I’d been following on Twitter for a while now. 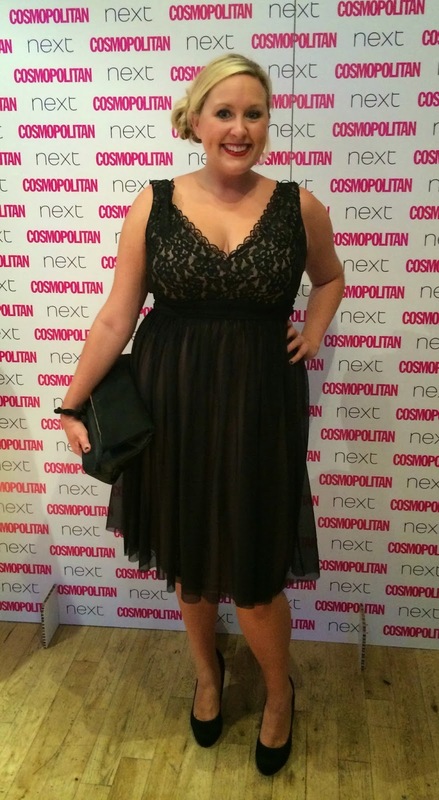 I also plucked up the courage (thanks to Cosmopolitan #four!) 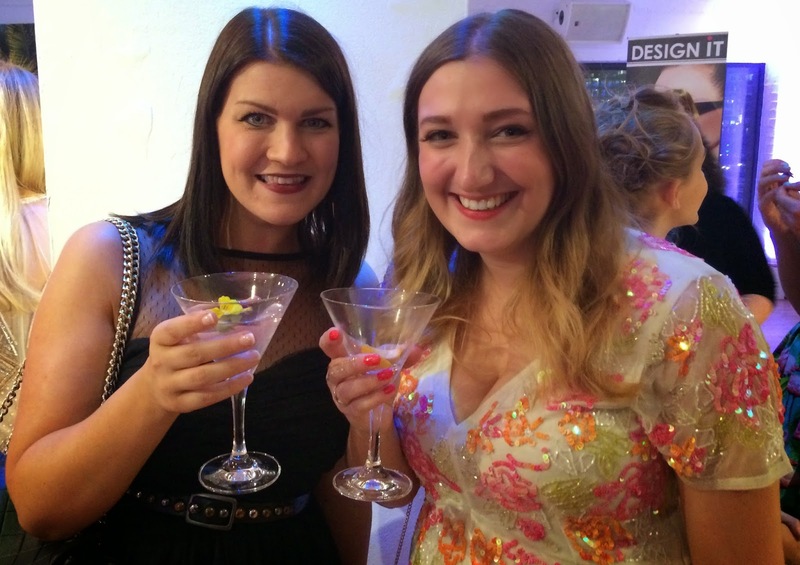 to go over and introduce myself to the very gorgeous fashion blogger, Laura from Tiny Twisst who is just as beautiful in real life as she is over on her blog and vlogging channel. When the night finally drew to a close, I left feeling exhausted (and hungry as I was too busy talking to notice the canapes being served!) and a little overwhelmed. I hadn’t quite realised how anxious I had been about the whole event. There was so much anticipation leading up the event about not knowing what to wear, or knowing anyone else attending, and of course the prospect of winning. Borrowed pic from Graphique Fantastique! I honestly didn’t expect to win the award, but of course there was always a little part of me that hoped I would, however I didn’t come away feeling disappointed. I came home feeling a little relieved that my first big blogging event was a success, and more importantly that I had made some new friends to share our blogging journeys. So of course, attending my very first blogging awards ceremony and making so many new wonderful friends most definitely made my Highlight of the Week. Thank you again to everyone who took the time to vote for me. It really does mean the world. Roll on next year when I’ll be bugging you all again for votes to hopefully come home with an award – bet you can’t wait! 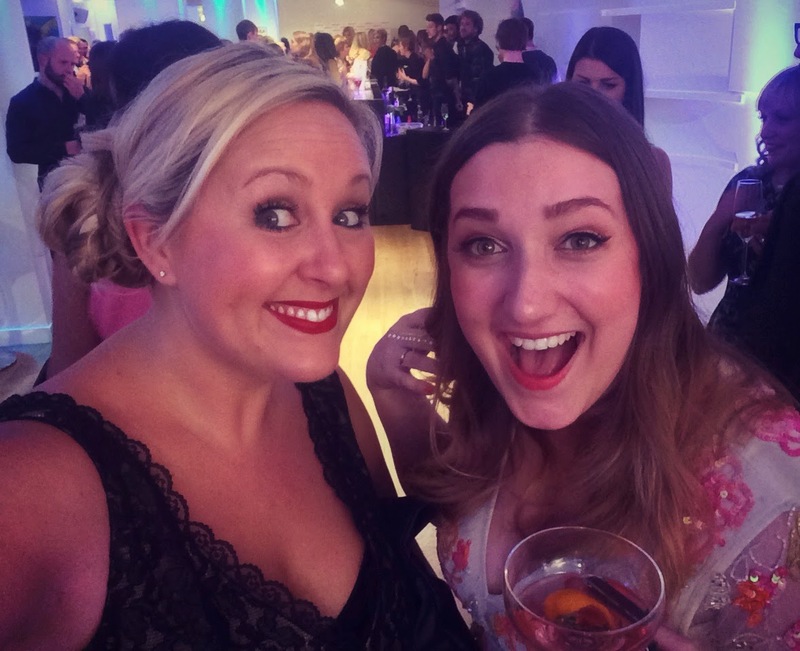 If this post wasn’t enough then then check out my mini vlog of the event…don’t forget you can subscribe to my channel here! For the full list of winner and to read more about the event click here! Previous Post What’s Your Favourite Movie Soundtrack…?